Our Swingbolt stabplates are designed for diver installation for use in shallow water applications. They are available in a variety of sizes and are populated up to 35 way and are populated with our own couplings. These stabplates can also be designed for use with alternative couplings on request. 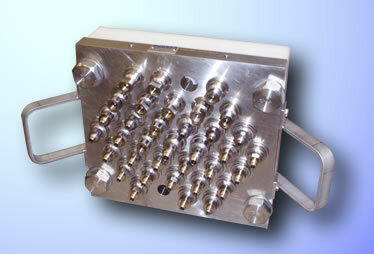 Electrical connectors can also be incorporated into the design.